Whether you are hunting in the back country, enjoying an ATV ride or getting from one place to another in rural America, National Forest Service roads play a vital part of exploring the outdoors. For many weekend visitors, exactly how to tackle this web of dirt roads might seem a mystery. Here are a few helpful pointers to navigate forest service roads next time you take to the woods. One of the primary purposes of the National Forest Service is to maintain a system of roads that are navigable in case of fire. 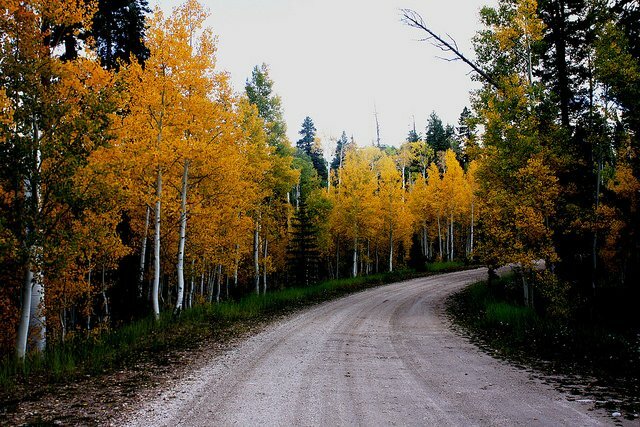 There are some 370,000 miles of forest service roads in the U.S. which have become a major reliance in many rural parts. Before embarking on any adventure, find a buy. The Forest Service posts maps in every state on its website. They also provide an interactive map. Research too whether you need a permit for day use or an overnight stay in the area you plan to visit. And you should also be sure to carry a GPS and a compass. Whenever heading into a National Forest it’s always a good idea to check in with the nearest ranger station. For this reason, it’s especially important to arrive during business hours and preferably not on Sunday as many ranger stations are closed. Checking-in at the ranger station either in person or by telephone is important to receive updated information about road conditions. You never know when a road could be closed for a landslide or a tree fell, which could alter your whole trip. You can also pick up any required permit at the ranger station before heading out. You always want to have enough gear in your truck to survive the night, possibly multiple nights. That means packing for “as-if” scenarios with common survival items and sufficient food and water. What if you go off the road and no one is there to help you get out of the jam? First, learn how to get your pickup unstuck from the mud and other methods for improvising a winch if you don’t have one. If you ultimately cannot get the truck moving, stay with the vehicle as long as possible while preparing some means for signaling. Leave the location and seek self-rescue only when you absolutely know the destination and can no longer feasibly stay point. In 2006, James Kim was tragically killed when he attempted to seek help in the mountains of Oregon during the winter. The family had travelled a forest service road as a potential shortcut to the coast. When they got stuck in the mud, Kim and his wife, along with their two young daughters stayed with the car for days until James attempted self-rescue. Days later a helicopter located the family, but Kim had perished near a frozen stream. It was learned later that the family travelled past a gate onto a forest service road that should have been locked and they did not have proper maps.